Pioneers in the industry, we offer wonder floor pvc flooring, pvc carpet, responsive pvc flooring and wonder floor flooring 65 from India. Bravo is a premium cushioned sports flooring designed keeping in mind the modern day requirement of a floor that is heavy duty but soft enough for a comfortable and jerk free workout in a gym, sports court or a fitness centre. The high strength wear layer takes care of the heavy loads , the 'impregnated Glass Fibre Tissue" reinforcement provide a very high dimensional stability and lay flat properties to the product in any weather conditions. The densely compacted cushioned base layer absorbs the jerks and also adds to the acoustical property of the floor. We are dedicatedly involved in providing an excellent quality array of PVC Carpet, for catering the various needs of our clients. LG Hausys' EQ vinyl flooring is the best option for you if you are looking for PVC vinyl flooring that offers superior shock absorption and cushioning. This advanced vinyl flooring is made in the form of vinyl sheets that can be cut and rolled out to fit specific interiors. Since it is made in the form of vinyl sheets, it can repel moisture much better as it will have almost no seams after installation, and it will cover and bridge imperfections in the underlying floor quite well. 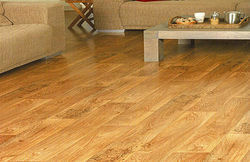 Besides, our EQ vinyl flooring also offers superior sound insulation and shock absorption. 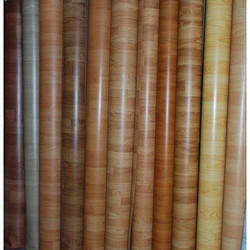 Moreover, this PVC vinyl flooring has an anti-bacterial and anti-fungicidal treatment, to enhance its germ resistance. The EQ PVC vinyl flooring is also available in many colors and patterns, so you have a wide choice of vinyl sheets to choose from, in terms of aesthetic appeal, without sacrificing any of the above mentioned great features. 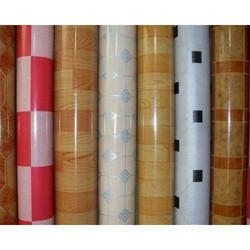 A leading global manufacturer of polyvinyl chloride (PVC) based products. We are among the top three producers of vinyl flooring internationally and the largest Indian producer of PVC flooring and artificial leather cloth. At responsive its not just about business, its about the relationship, therefore our mantra - We listen. 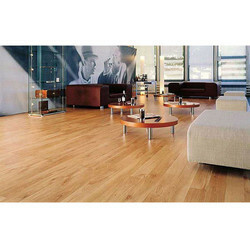 Adventus is the newest offering from Wonder Floor PVC Flooring. It is a high performance extremely robust and attractive product which can be used in multiple application areas with high footfall - hospitals, schools, airports and large offices. It is easy to maintain, last for a lifetime and is more affordable that you can imagine.Adventus is non-directional and has a single layered design with multi colour chips. Wonder Floor Flooring 65 is a new range of premium product which can be used at home to give your home a luxurious decor possible. It can also be used in offices and commercial areas with light footfall to lift their interior decor.